Asian in origin, Sriracha sauce has become pretty mainstream in American cuisine in the last decade, and the combination of this condiment with mayonnaise is slowly sweeping the nation. 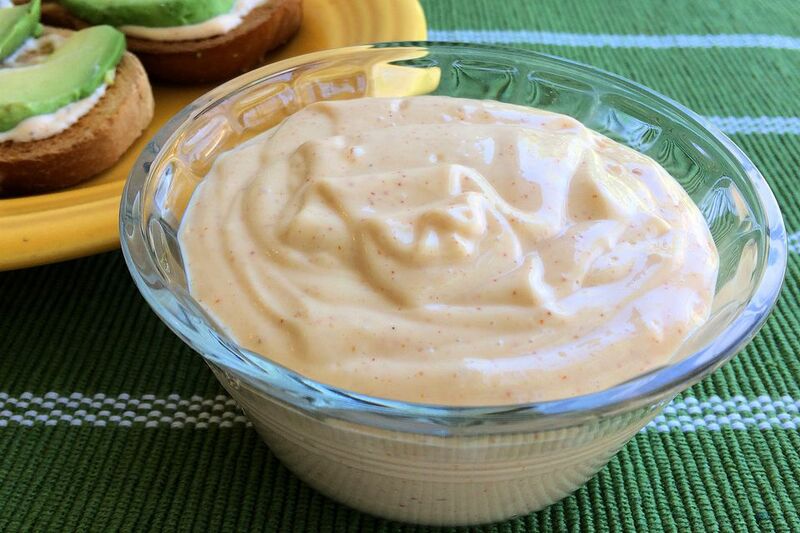 It’s easy to see why: Sriracha Mayo is as versatile as it is delicious as a spread-on sauce (hamburgers, for example), a dip (for anything from French fries to stuffed mushrooms), or a topping-style sauce (for fish tacos or salmon patties). Though you can readily purchase jars of spicy mayo at any supermarket nowadays, making your own has the advantage of allowing you to create your own signature mixture. Start out with the basic recipe below, then tweak it to taste and add any of the extra ingredients listed below that tickle your fancy. Oh, and don’t hesitate to substitute any bottled hot sauce for the Sriracha, whether it´s a Mexican variety, a Louisiana-style version, or another spicy Asian sauce. Once you have a mixture that you consider perfect, you’ll even want to start using it in place of plain mayo to take your potato salad and deviled eggs to the next level. Be prepared, though; you are going to start getting invited to a lot more pitch-ins and get-togethers once the word is out that you make this delicious condiment! Combine all ingredients in a small bowl and whisk until they are well mixed. Pour sauce into serving dish or storage container. It can be used immediately and/or refrigerated for a few days. As mentioned above, you can use any kind of bottled hot sauce in this recipe. Good: Try it with Mexican Salsa Valentina, for example, Lousiana’s Tabasco Sauce, a Peruvian version, or another Asian variety of sauce. Better: Use whatever hot sauce you already have on hand. Best: Make your own bottled hot sauce and use it in your mayo combination! Add an extra ingredient or two to your Sriracha mayo to complement whatever you plan to use it on: A teaspoon of soy sauce may be just the thing, or a tablespoon of prepared mustard. A bit of finely minced onion and/or garlic would be great, too, though after adding either of these elements you should let your sauce rest for a few hours before serving to give the flavors a chance to meld. What Is Sriracha Mayo Good On? Finger foods and appetizers such as mozzarella sticks, chicken nuggets, and egg rolls.